Soothing and highly aromatic tea with a light and slightly sweet taste. Lavender Tea helps relieve stress, reduces fatigue, detoxify kidney, headache, calm nerves and emotions. Lavender Tea also has calming effects that helps insomnia. 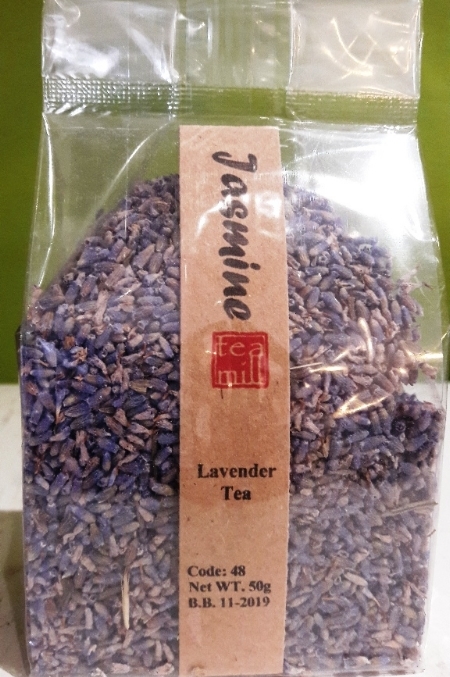 Lavender Tea can be mixed with other teas such as Jasmine, Rosemary to add a distinctive aroma and taste. Lavender Tea is not recommended to consume over 5 gm daily.